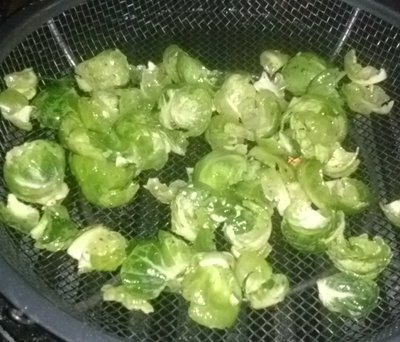 Forget everything you have ever read about how to grill brussel sprouts and try this. You may never look at a this forgotten an often hated vegetable the same way again. I will warn you that the prep is time-consuming on this one but the end results are well worth it. This may seem simple and plain but it is really a different take on this unloved vegetable. This will require a grill topper preferably a grilling wok or bowl, anything with sides and holes in the bottom will do. We are going to remove the leaves from the brussel sprouts one by one. We do this by trimming the stems little by little a few leaves will come off at a time this way. I found that about 1/8 to 1/4 of an inch seemed to get a couple of layers of leaves at a time. Repeat until there are no leaves left. You will be left with more than half of the stem that you will throw away. Repeat for each sprout. When finished separate the leaves place into a bowl and lightly drizzle with olive oil and salt and pepper and toss until all leaves are lightly coated. 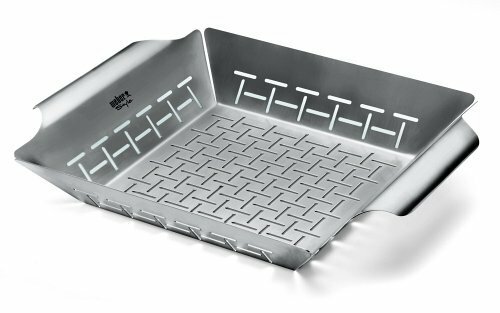 Place your grill topper (we used this one) over direct medium high heat and throw in all of the loose seasoned leaves of your brussel sprouts. Toss the leaves every minute or two until you begin to see burnt edges. This will take about 5 to 10 minutes. 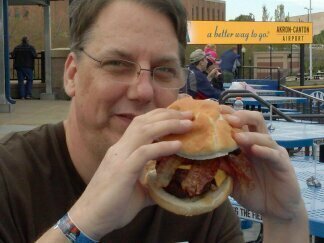 Take a leaf and taste it to see if it is crunchy. If fully cooked it will crunch like a potato chip. When you grill brussel sprouts this way it is truly magical. You will want to serve these right away because the crunch will fade as they cool off. You may add bacon crumbles or drizzle with balsamic vinegar but they are fantastic plain and eat like potato chips. The distinct taste of brussel sprouts are muted by this process. 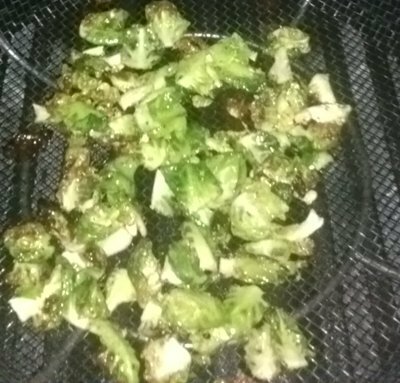 This is a vegetable that I actually enjoy eating normally but when you grill brussel sprouts like this it is a brave new world. If you don’t tell people what you are serving they would never know. 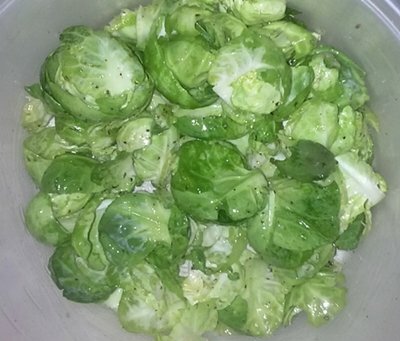 Forget everything you have ever read about how to grill brussel sprouts and try this. You may never look at a this hated vegetable the same way again.